Running a business is always a risk, as you may have to handle plenty of issues within a specific period of time. When it comes to fleet management, risk and complication doubles. And the fact is that you will never be able to get sufficient time to complete all those tasks perfectly. As your business progresses, both your obligations and priorities soar up. You need to handle functions such as billing, scheduling, completing time sheets, carry out administrative tasks and thereby, achieve customer satisfaction flawlessly within the scheduled time. By integrating a vehicle tracking system to your business, you will be able to improve employee performance and wisely manage valuable time. Also, you can monitor your fleet whenever you need and obtain real-time information regarding it. Hence it is always the best decision to implement a tracking system into your business. While running a business, there will be huge bundle of pending work. You may never be able to take a glance at the outside world. The only choice left with you would be to ignore the competitors around them. It will be good for your business, if you know what your competitors are doing, the technology they implement in their business, their area of expertise and about their future plans. Sometimes, this can positively affect the bottom line of your business. In this era of social media, it is vital for every business to have a social media presence for their growth and development. You will be able to save a lot of time by using the GPS vehicle tracking system. This time can be productively utilized by interacting via social media like Facebook, Twitter, Linkedin, etc. for promotion of your products. Millions of people visit social media sites daily, this can be taken into consideration and you can post certain relevant details regarding your product, and thus, you may get wider publicity. By continuously interacting with the audience, you will get more followers, which means more business. Customers are considered Kings in every business. When you make the King (Customers) happy, you get the rewards (Profits). Hence, if you want your business to grow, then it is vital to maintain a good rapport with customers. Always interact with customers, so that you get instant feedback regarding your product whether it is positive or negative. For building customer loyalty, you can offer benefits such as discounts, coupons etc. to your products. All these benefits can cherish your customers and, thereby appreciate your efforts. This smart move can encourage customers to buy more of your products. Obviously, your old employees would have worked hard to make your business grow and accomplish customer satisfaction. But, adding new talent will enhance productivity and overall performance of your business in the future. You can recognize the area of business, where new resources and skills are needed and then, allocate them accordingly. Business, is long term in nature, and hence it is always a good idea to add talented resources for boosting up the company profit. Once you install a vehicle tracking system, you will be able to enjoy a lot of spare time. You can schedule tasks and have quick access to every vehicle you own. This will help to increase your downtime without any compromise in productivity. Thus, with the help of GPS technology, you can experience smooth functioning of fleet operations and manage a fleet of vehicles without consuming much time. Installation of a GPS fleet tracking system smoothens all functions of fleet management. 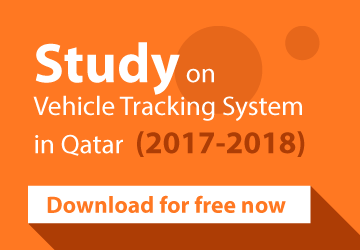 Hence, a vehicle tracking system reduces unnecessary pressure felt by fleet managers as well as employees in the workplace.